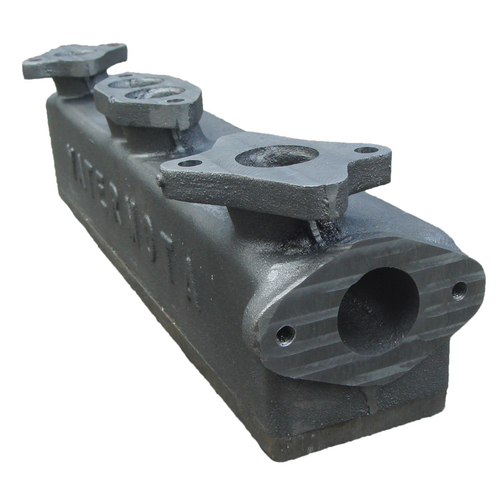 The re-designed, standard, WaterMota exhaust manifold for most WaterMota Crossflow engines. 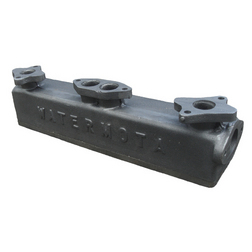 The WaterMota Crossflow exhaust manifold attaches to the cylinder head where the exhaust gases are past out to the stern of the boat connected to the exhaust injection bend. When fitted an internal water jacket is created, fed via the engine water pump, which cools and helps to silence the exhaust system. 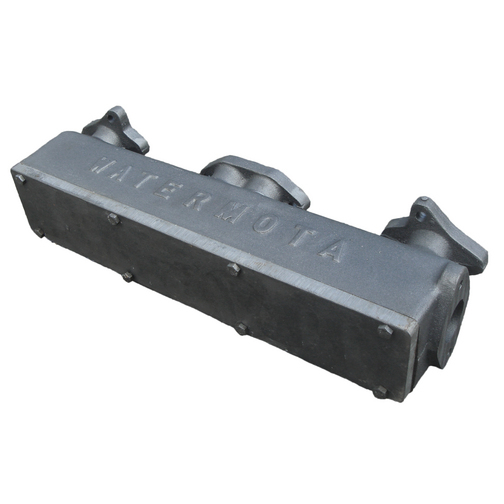 This is the latest re-designed WaterMota exhaust manifold with a cover plate design which creates the internal water jacket, very similar to the existing WaterMota Pre-Crossflow exhaust manifold design. The WaterMota exhaust manifold is suitable for the majority of WaterMota Crossflow petrol engines including the WaterMota Sea Wolf Mk2 and WaterMota Sea Tiger Mk2. Please note: Over the years with the development of the engine the WaterMota Crossflow Exhaust Manifold has been produced as both a 'one-part' and 'multiple-part' design; both of which are interchangeable with each other.